This 4"-by-6" glass plate negative was made in the 1920s in Venice or Lido, Italy. It's tarnished, but otherwise the silver image is in great shape. While the negative is very dense, typical for photographs of the time, the edges of the plate are clear and only slightly yellowed. All that prevents one from printing this plate conventionally on a Grade 0 paper is that it's broken in two! 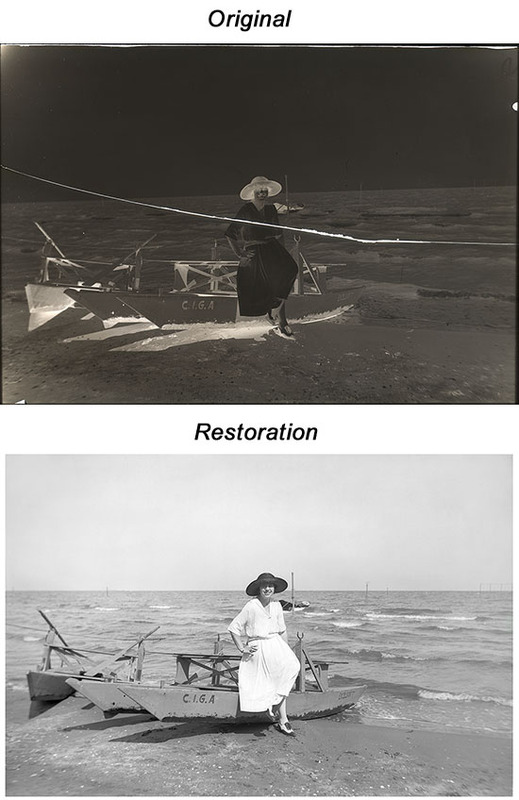 A complete description of how I performed this restoration is in my book, Digital Restoration From Start to Finish.